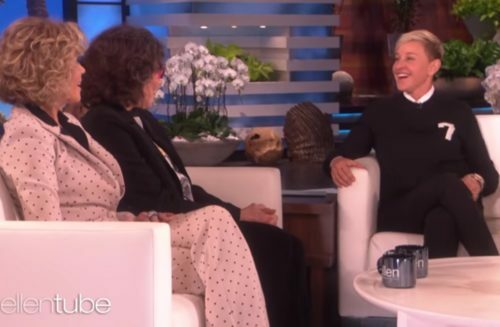 Lily Tomlin explained to Ellen Degeneres why she didn’t come out publicly on the cover of Time magazine before Ellen did. Tomlin and Grace & Frankie co-star Jane Fonda were on Ellen’s show, and Ellen brought up a story she heard about how Time wanted to give Tomlin the cover of the magazine if she came out… in 1975. “I fell down on the side of, after what you went through, probably good sense,” she joked to Ellen. Fonda said that she would come out now if she could get on the cover of Time, and Tomlin quipped that the magazine’s cover isn’t worth it anymore. The exchange starts at around the four-minute mark.